Either Accolade is taking Bubsy seriously or Choice Provisions is running out of money. Wait they try to unironically make a decent game this time? I respect the hustle Choice Provisions. Doesn't look half bad, IMHO. It's hard to prejudge 2D sidescrollers, though, because a huge part of what makes or breaks them is how they FEEL to play. It's already the best Bubsy game ever made. Actually I'm surprised at this! Didn't know that he was getting another game already. Ohhhh they called it "Paws on Fire" because Bubsy is a bobcat. They didn't call it "Pants on Fire" because he doesn't wear pants. This has some potential to be decent. Accolade is trying with Bubsy, which is admirable in a way. It made money from all the youtubers and review outlets that had to make videos of a new Bubsy game. It looks even more decent than the last one, which was mediocre. This might turn into an actual good Bubsy game. Obviously getting the game reveal out of the way before the big Bubsy reveal on Thursday. Weird that they got two different devs to reskin their engine for a Bubsy game. Imagine the first game made money due to being really low budget/short and really expensive. Can someone explain to me why there is always someone trying to bring back bad franchise instead of the good ones? They actually brought back the characters from that failed cartoon pilot. As if anyone actually remembers them. Which kinda speaks for Bubsy himself. Choice Provisions sounds like a pet food brand so this game is finally the perfect match for them. I'm assuming somehow it pulled that off...or this is some kind of social experiment. I mean, the previous game was a reskin, makes sense that the next game is also a reskin. Didn't Runner 3 perform relatively poorly? I guess this is to tide the studio over. This just seems like something someone thought up in a fever dream. So their answer is to make yet another runner skinned with one of the worst mascot characters of all time? Edit: I guess a paycheck is a paycheck. Bubsy started life as a bad Sonic clone, and now his shtick is getting developers to make bad clones of their own games starring him. Amazing. Will Charles Martinet narrate the story? Only the highest of high brow humor with Bubsy. I mean, they're being paid to do it and it's using a bunch of existing Runner 3 work, so why not? It's better than working on edutainment or laying off employees. I want a 3D Bubsy. Makes sense since Runner 3 was terrible. 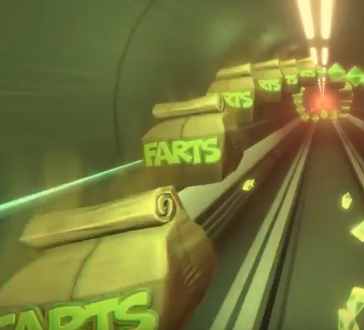 Ok, Runner 3 wasn’t terrible. But the game was a big disappointment as a step backwards from 1 and 2. I wonder if they’ll fix the problems with R3 with the Bubsy version. Bubsy 3D was made by Bend (true story), Woolies Strike Back was made by the Giana Sisters team, now this is being made by the Bit. Trip guys? What the hell is up with Bubsy attracting legit talent to make these terrible games?! How does one kill that which refuses to die? Another Busby game being made again? Dafuq.